Let's take a Zoom-in the significance of a work space and it's components. The development process takes place in the context of a workspace, so it’s important to know how a workspace is structured. 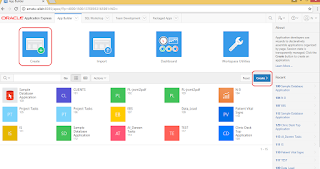 You can think foremost of Oracle Apex work space as a cloud computing architecture services for thousands of users. Oracle Apex Free work space is a virtual private database allowing multiple users, applications and schema to work within the same Oracle Application Express installation but they can't interact or see each other only with the permission of the work space owner to keep their database objects, data and applications private. · One to many users. · Zero to many applications. · One to many schemas. o Fully authorized to control the work space instance as Oracle sys user. 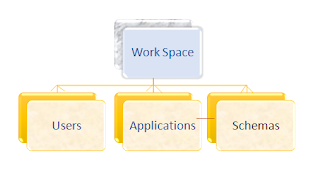 o Login to the special INTERNAL workspace, which houses the APEX Admin Services application. · Workspace Administrators manage the workspace details over-rides users lock, they can acts as developers. 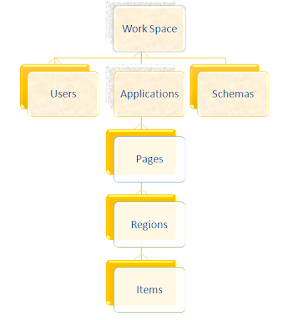 · Workspace Developers create and edit the database schema and applications schemas. 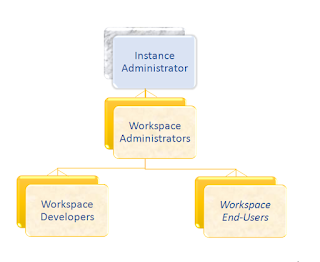 · Workspace End-Users run applications to practice their job, they don't have access to the back-end. Not related to any Oracle Database User. Oracle creates an empty schema for each user. 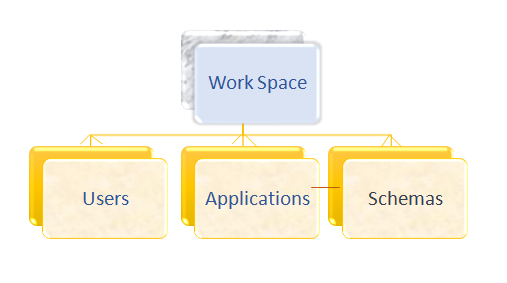 Oracle creates a schema for each Work space user. Oracle work space starts free of application, but once you created the work space one and only one database schema is created. You can create and manage one or more user. Then, you can start creating one or more application. You can have more than a work space for one email each must has a unique name . If you cannot remember your work space name, you can request a list of all work space names associated with your email address. 1. On the Login page, click Find My Workspace on the Tasks list. 2. Enter your email address and click Find Workspace. 3. An email with the list workspace names is sent to you.